Grants of up to $500 are available to EIDS families to help their child become more independent, to create an environment where your child can participate in daily family activities, help with medical needs and equipment, and to enjoy life as we all do. Some examples of things you can buy with grant money include: a play set for your child, osmo, specialized feeding utensils, medical equipment not covered by insurance, balance or adaptive bike, private swim lessons, home certification, lawyer fees for guardianship, signing time or other educational DVDs, ipad, etc. In addition you must live in the Eastern Idaho counties of Bannock, Bingham, Bonneville, Fremont, Jefferson, Madison, Teton, or Teton County Wyoming. 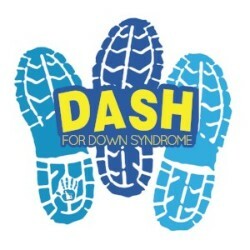 Grants are limited to one per individual with Down syndrome every 12 months. EIDS families may be eligible for more funds due to extenuating circumstances that will go to board review. The EIDS board will meet every other month to review the applications and funding available. A board member will contact the applicant and notify them of the status of their application within one week of the board review. Incomplete applications will not be reviewed. By awarding finances, EIDS is making no recommendations as to the appropriateness or safety of a particular service or good for each applicant. EIDS is not responsible for the safety and progress of the child. Each family is strongly urged to consult with their physicians and therapists regarding the choice and use of a particular good or service. To apply for a grant, please fill out the form below and press "submit" when you have it complete. By submitting this application you attest that the information you have provided in this application is factual and true to the best of your knowledge. 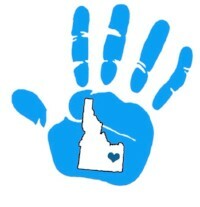 You also indemnify and hold harmless Eastern Idaho Down Syndrome Family Connect and/or the board or volunteers from any and all liability, claims, damage, or injury sustained by the applicant. Yes I attest this information is true.